12.13.13 – F R O S T | Oh Look! It's A Blog! F R O S T opened today! I made a bunch of new poses so I figured I would share them here. 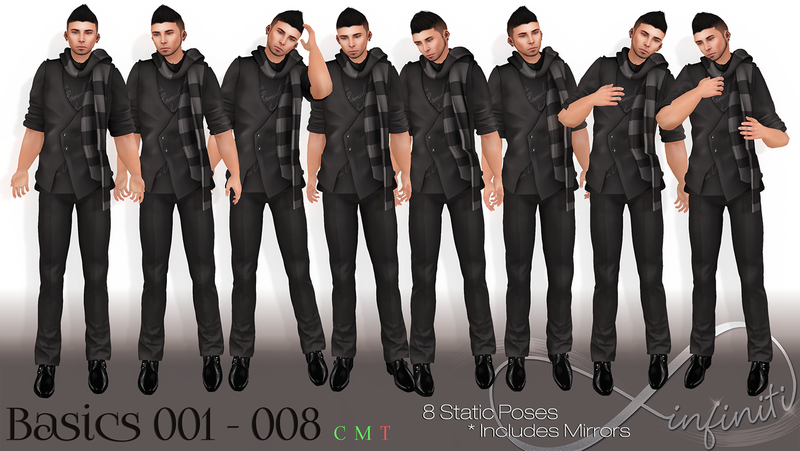 They include mirrored poses so it’s technically 16 poses per pack. ALL these are 50% off for the duration of F R O S T which runs from December 13th – January 5th. TP TO F R O S T.
This entry was posted in iheartslFeed, Uncategorized and tagged .Infiniti., Depraved Nation, F R O S T, Frost, Poses. Bookmark the permalink.